The technology group Wärtsilä has successfully completed sea trials of its SceneScan system, the world’s first ‘targetless’ dynamic positioning (DP) laser sensor. This state-of-the-art technology requires no reflector target to be deployed, thereby increasing both safety and operational uptime. The technology has been developed by Guidance Marine, a Wärtsilä company. The tests were carried out onboard the Topaz Citadel, a vessel owned by Topaz Energy and Marine, a leading international offshore support vessel company providing logistics support and marine solutions to the global energy industry. The SceneScan was connected to a Wärtsilä DP system, with which the vessel was already fitted. Following the successful 90-day tests, Topaz indicated that it will keep the system as installed on the Topaz Citadel, and that it will begin a phased roll-out to additional vessels. The initial order includes upgrading existing DP sensor systems onboard four of the company’s vessels. Wärtsilä will also provide installation and commissioning of the systems. 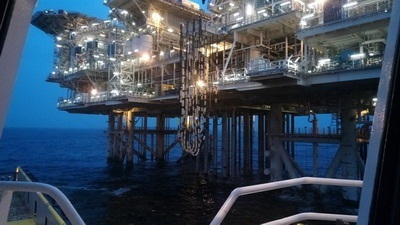 “The testing and evaluation was carried out and proven under actual DP operations with offshore platforms in the Caspian Sea. The positive feedback provides further evidence of the efficiency and accuracy of the SceneScan system. This is fully in line with Wärtsilä’s Smart Marine vision, for which enhanced vessel safety is a key pillar,” says Andrew Stead, Head of Business Development, Guidance Marine. “The installation onboard the Topaz Citadel was seamless, and the technical support that was provided by Wärtsilä throughout the testing period successfully determined the system’s overall effectiveness. We have no doubt that the SceneScan system will add considerable value to the DP operations of our versatile and digitised fleet.” says Paul Jarkiewicz, Operations Director at Topaz Energy and Marine. 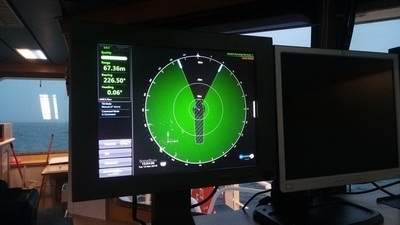 The SceneScan system is a high accuracy rotating laser sensor that provides positional information to allow automated approach and/or station keeping relative to a structure or vessel. It is designed to be straightforward to operate, and it provides tracking information relative to natural or man-made structures within the sensor field of view. It tracks by matching its current observation of the scene against a map generated from previous observations of the scene. Caption 1: The Wärtsilä SceneScan provides accurate positional information for safer operations. Copyright: Topaz. Caption 2: The Wärtsilä SceneScan adds value to offshore Dynamic Positioning operations. Copyright: Topaz.